With heating capacities ranging from 600 to 2500 sq. ft., you're sure to find a stove in the size you need, along with a variety of styles and colors. Fireplace North & Spa has made a commitment to handle the most efficient stoves in the industry. Heating CapacityUp to 2,000 Sq. Ft.
Answer, 1250, 1750, Evergreen, Endeavor, Liberty, Cape Code Hybrid & Rockport Hybrid. Lopi has a variety of styles whether you want a steel stove, step-top, or cast, and come in a variety of sizes. 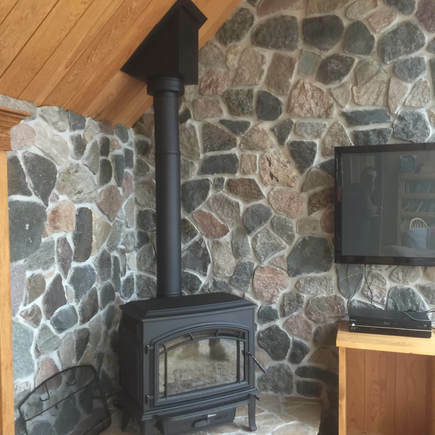 Quadra-Fire has 10 models of wood stoves to choose from. We currently have the Explorer II in our showroom. 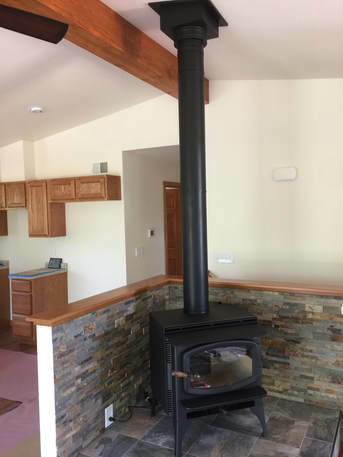 If the convenience of gas, but the look of wood is what you desire, look no further. the roof or wall, venting options are never a concern. stove, we have the unit that compliments your decor. 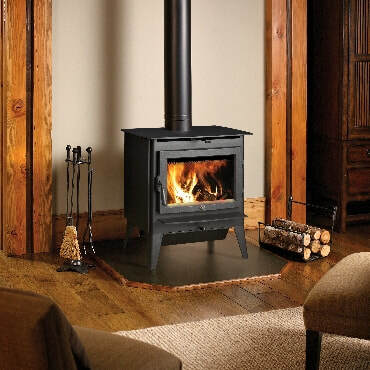 There are a variety of sizes, styles and models of Lopi gas stoves to choose from. The Sapphire offers the durable, long-lasting performance of Quadra-Fire in beautiful cast iron. Exclusive technologies ensure fuel efficiency and stunning rolling flames.